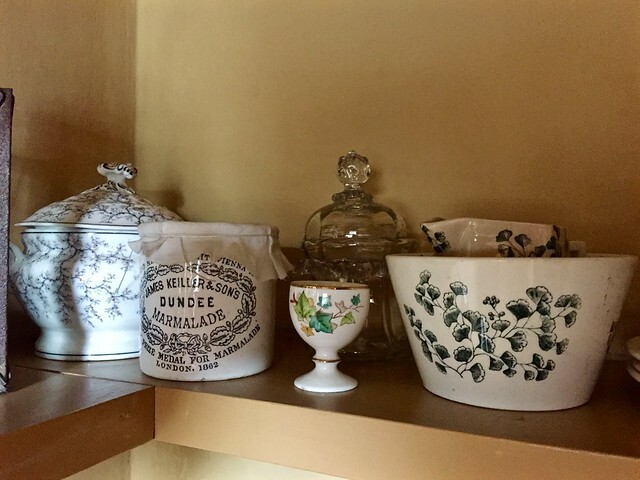 I love the Geffrye Museum, the Museum of the Home, with its carefully curated room sets showing how the ‘middling classes’ have lived through the ages. One of its charms is that it’s housed in a pretty square of old almshouses with a green lawn and shady trees in front. 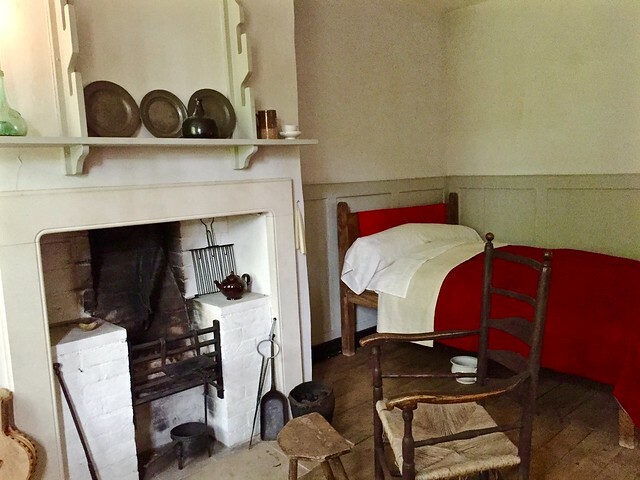 One of the almshouses has been restored to show what it might have looked like when it was lived in, and I’ve been wanting to go on one of the rare tours for ages. Finally I’ve done it. 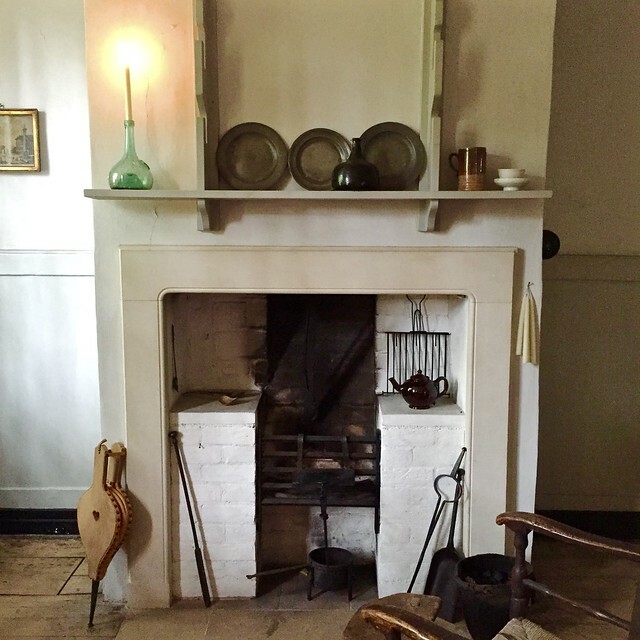 Each almshouse has a central front door with two rooms either side on the ground floor and two more on the first floor. I’ve always thought I wouldn’t mind living in one, until I discovered on the tour that you didn’t get a whole house. Oh no. You got a room. 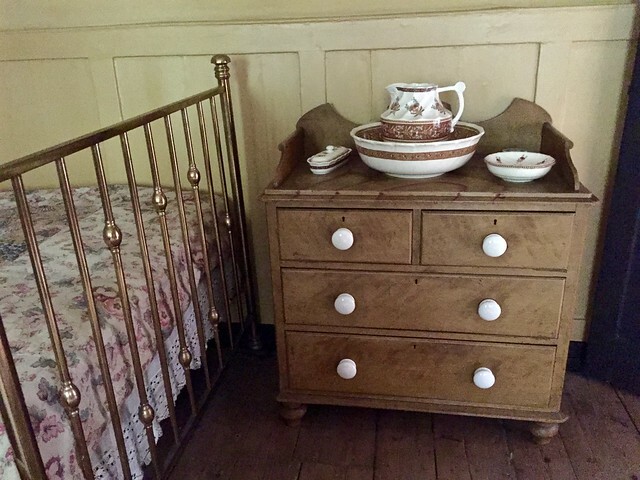 And not even a room per person – married couples had to share one room. 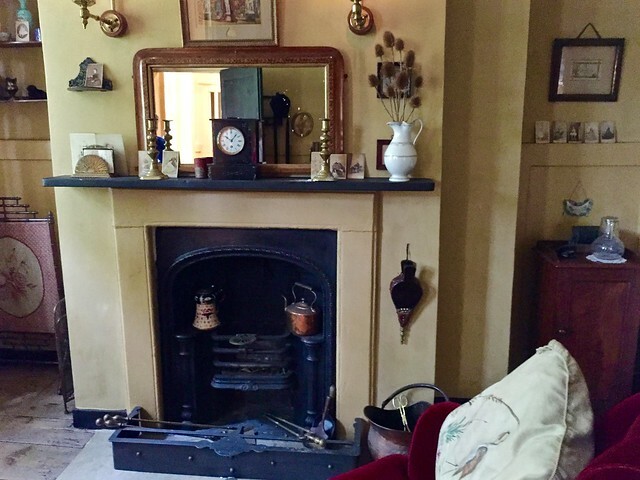 A room with a large cupboard attached but with nowhere to cook except the open fire and no running water. Oh, and you had to supply all your own furniture. 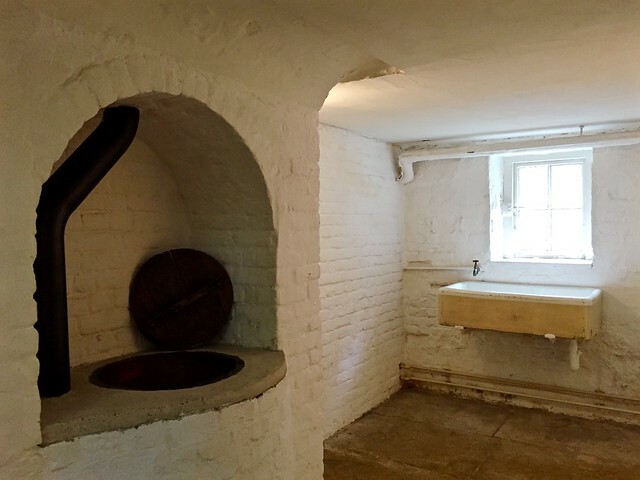 There was no toilet until one was installed in Victorian times, but there was a copper in the basement (in the alcove in the photo below) where you could heat up water brought in in pails to do the laundry. 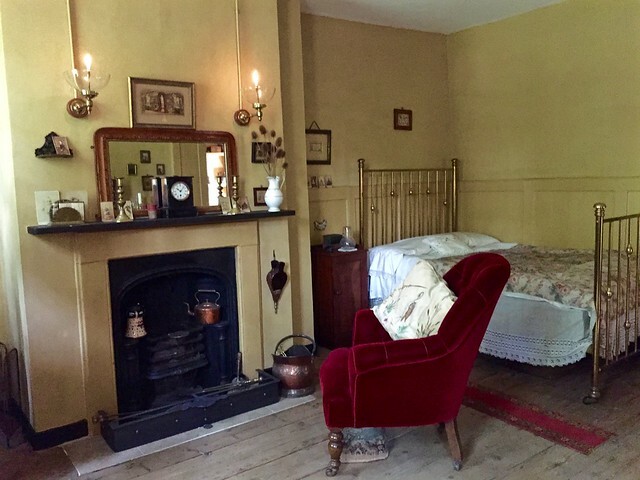 Two rooms have been restored. The one on the ground floor has been imagined as the home of a retired couple in the 1770s who’d fallen on hard times. Their furniture is sparse and basic. Upstairs a room has been restored to the way it might have looked in the 1870s, when the occupants of the almshouses were mainly retired governesses and schoolteachers. 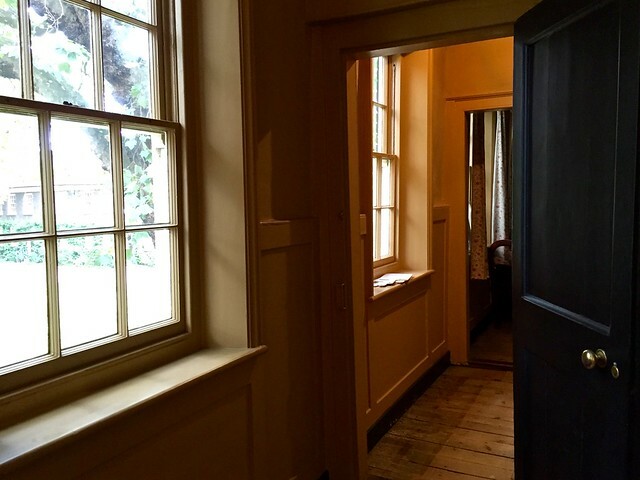 This room is more comfortable, but still sadly lacking in any of the amenities we take for granted today. 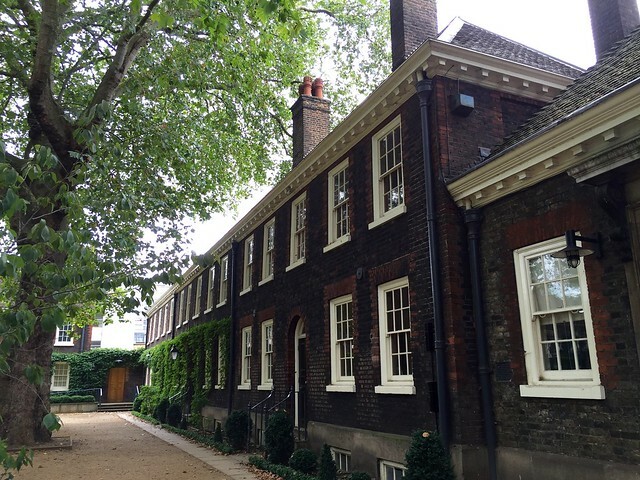 The Geffrye Museum is on Kingsland Road. The Museum is open Tuesday to Sunday and Bank Holiday Mondays 10 am to 5 pm and is free. 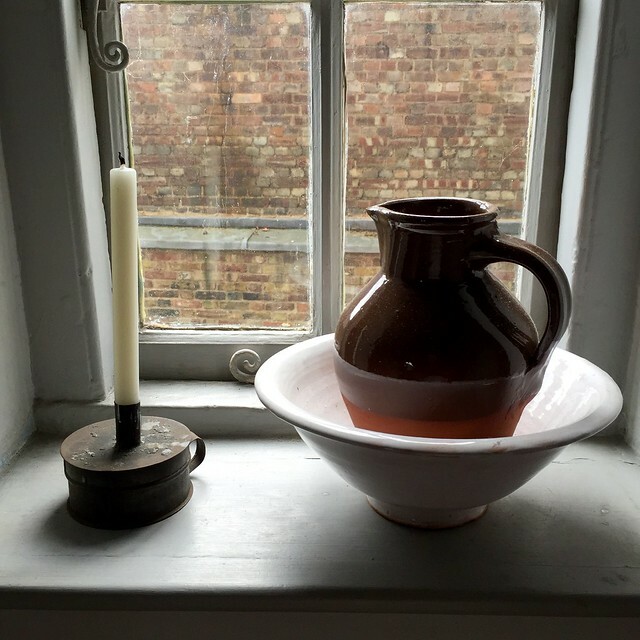 It runs tours of the restored almshouse on some Wednesdays and Saturdays – check their website for details. Tours cost £3. 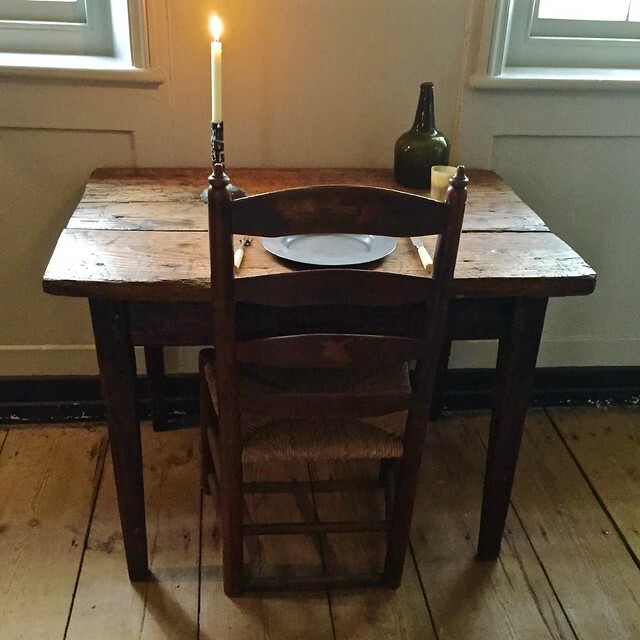 This entry was posted in Historic Houses and tagged Almshouse, arts, design, Geffrye Museum, history, London by Fran. Bookmark the permalink. Me too! The tour’s nice because they tell you a bit about it and then let you wander around on your own. Another place for me to visit when in London! There’s no end to places to visit in London! What a gorgeous house! It reminds me of some of the properties in Philadelphia, especially along Elfreth’s Alley. Yes, the houses are so pretty, it would be lovely to live in one.